Publications can amplify the image your business represents and provide in-depth information directly to interested parties, but they can be time-consuming to produce – if you’re doing it alone. The Vision Media team is expert at gathering information and refining it into a high-quality finished product. We have experience producing high-quality magazines, newsletters, catalogues, books, annual reports, and more. We also understand budgetary concerns. Over the years of projects we’ve completed, we have forged relationships with printers that make negotiated print prices for high volume print production possible. Let us save you the headache of finding writers, photographers, graphic designers, and printing companies needed to make such projects a reality. We have that team at Vision Media. Whatever your aesthetic, we will work together until your publication is one you are proud to share with your clients and potential customers. So, what’s your next print project? 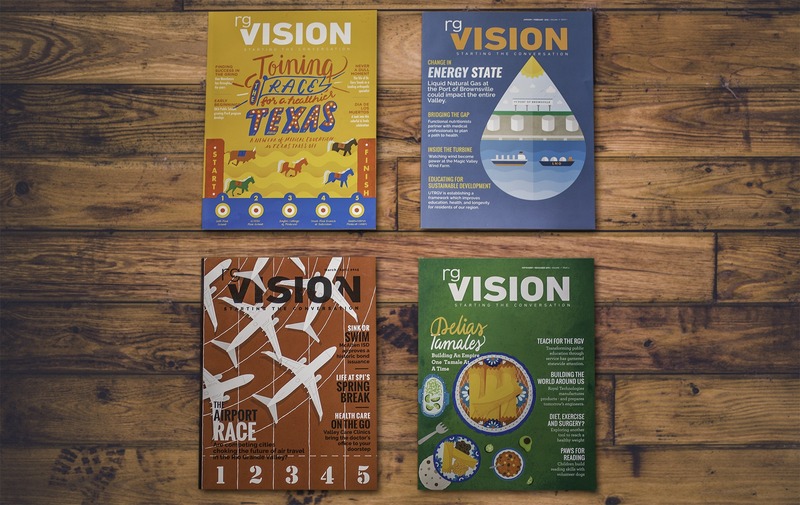 Magazines – rgVision Magazine has been serving the RGV since ____. Providing in-depth coverage on education, healthcare, business, and quality of life, it has grown to a distribution of over 12,000 magazines every two months at over 420 locations valley-wide. 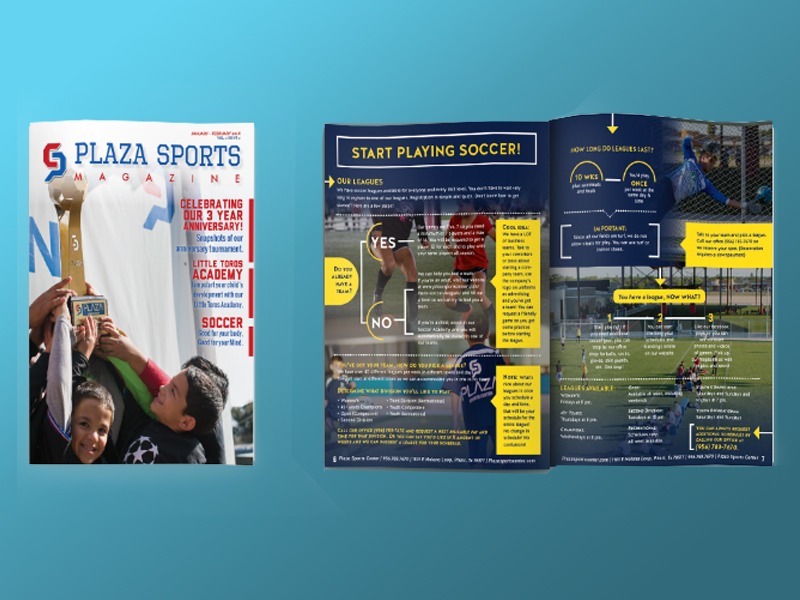 Vision Media also produces Plaza Sports Magazine, a monthly feature of Plaza Sports Center. Magazines are a great way to give something back to the community. Your readers will come to see you as a source of information and an expert in your field. Newsletters- If you’ve built a mailing list over the years, you have another source by which to reach potential clients and maintain existing business relationships. What if you don’t have anything to send them? At Vision Media, we do our research into current trends in your field. Staying in close communication with you, we will build a plan for newsletters that share relevant information and your distinct message. 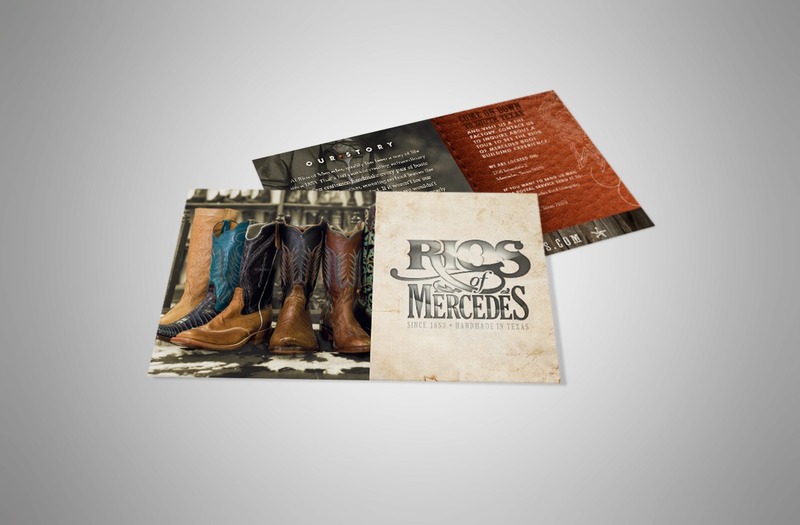 Menus/Catalogues- Do you offer a variety of physical products? We can organize them so your clients have a clear view of your selection. Whether food or fashion, a clear idea of what’s for sale is a must. We can design anything for your business product needs. Guides – This type of book provides in-depth instructional information. Guides can help introduce new team members to internal operations, clients or patients to your processes, and more. 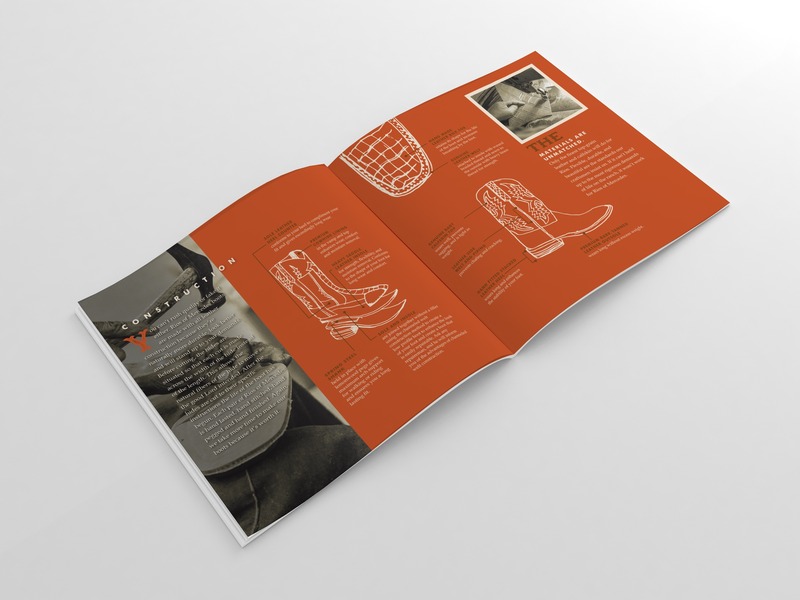 Vision Media is proud to have completed the Parks & Recreation guidebook for Bernie, Texas.